It’s taken me the best part of two months to get over the experiences enough to write about them. But it’s time I shared. First was the Coonawarra, which all went swimmingly. Then a few weeks later while my wine-appreciating friend Dave was visiting in early October we explored Heathcote, Yarra Valley and my own current home region of the Pyrenees. Whilst fun, the three regions in one week turned out to be a bad idea for me. I don’t know 100% that there was a link between the wine and my clumsiness / misfortune … I’ll let you be the judge. Let me just say this first – wine festivals are dangerous! 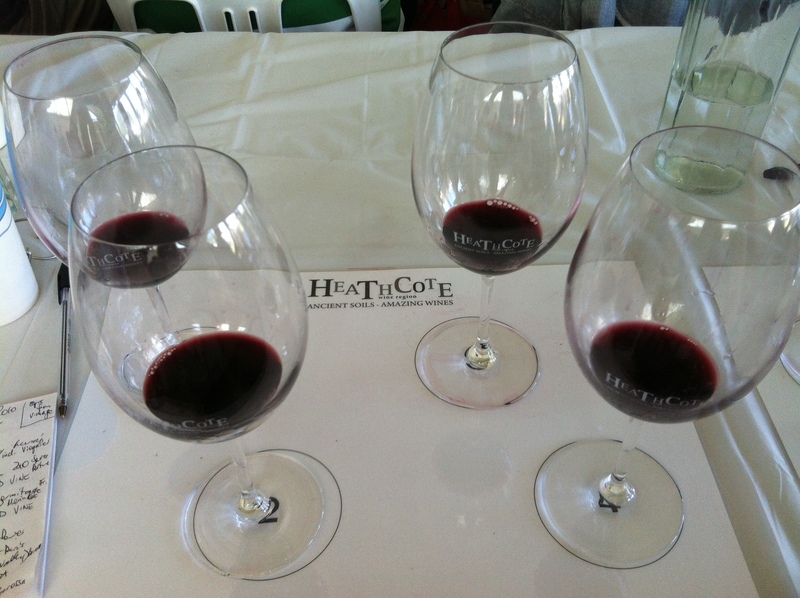 And the Heathcote Shiraz Heaven wine and food festival was no exception. Especially when you decide to pay for premium entry – which gets you a huge tasting glass – and there’s around 40 wineries pouring tastings of their wares, and it’s a gorgeous warm sunny spring day, and you realise around 11:30 that you’re already feeling a bit tipsy! And perhaps most dangerously of all – when your entry includes a seat at a shiraz masterclass led by Nick Stock – comparing Heathcote shiraz with others from around Australia and the world. There you are, a captive audience, with 12 tastings in 1.5 hours. Doesn’t sound like much, but it sure took its toll! I know, I know – you can still taste without downing it, and that’s what I should have done! But I just can’t get my head around the indignity in spitting, or the waste of the precious stuff. The masterclass was excellent by the way – I was a bit concerned I’d be out of my depth, not being either a huge shiraz fan (usually a white or sparkling kind of girl) or particularly knowledgeable or discerning when it comes to wine. But Nick made it really accessible and fun – definitely not too wanky! Despite eating all sorts of different things throughout the day, being in a red region and only trying whites/sparklings outside the masterclass, and trying to drink as much water as possible, by 4pm I was totally done for. We eventually retired to the caravan park by about 5pm (how I didn’t fall off my bike on the way is a complete mystery to me) and I barely moved for the rest of the night – incapacitated would probably be the best description. Not sick, but not in good form. 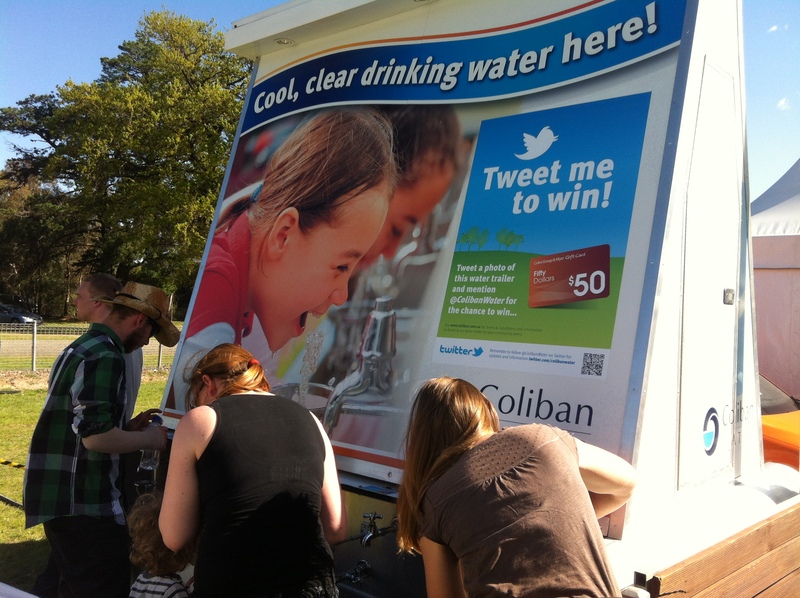 I did manage to win a $50 gift voucher though by shamelessly tweeting about the Coliban Water tank! 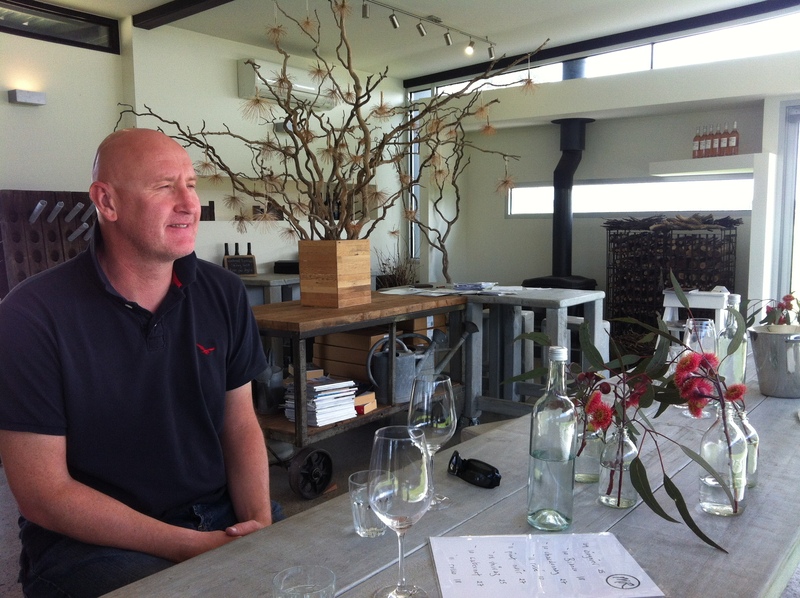 Dave still managed to toddle off to the Heathcote Wine Hub for some cider tasting then make dinner for us both. Handy accomplice to have. 🙂 I felt a little better after eating and offered to do the dishes, only to take a tumble in the dark after failing to negotiate a small ditch between our van and the amenities block. Dishes flying but fortunately I was still nicely “relaxed”, landed on grass and no one saw me – so no harm done. The following day – and with me feeling more than a bit grey – we toddled off to the Yarra Valley and checked into our lovely caravan park there before dusting off the bikes again to cycle into Healesville and explore. Before we could even get out of the park, I had a spectacular fall – and not even a single drink in me! I tried to follow Dave up a fairly steep hill, but misjudged negotiating the small rise from a roadway onto a path around the rec room, and went splat sideways. I’ve had many falls from my bike, but this was probably the slowest, most embarrasing and most painful fall I’ve ever had. And as I later learned, it was also to ruin my attempt to take on the main event at Run From the Hills by somehow upsetting some normally innocuous tendons or ligaments (I can never remember the difference) deep inside my foot. I still have a lump on my right shin. As we sat a small time later at the White Rabbit brewery in Healesville enjoying a Sunday afternoon beer (by far the pick of our experiences in that town), I honestly began to wonder what unwritten rule I had broken? Sadly that wasn’t the end of my stupidity/misfortune. Later that night, relaxing after dinner, I leaned into the front of the van to look for something and discovered the interior light wasn’t working. Worried that maybe the battery was flat, I went around to do what I had done hundreds of time when I was travelling on my own – opened the drivers door, put my foot on the accelerator and started the van to give it a few revs. I didn’t know Dave had left it parked in first gear. Yep you get the picture. Scared the shite of myself and Dave as the van lurched forward, red wine spilling all over the bed in the process. My brain was so befuddled (I wasn’t drunk, promise! but if you’d had a day like I had…) that I was too slow to work out what was happening and react to stop it. Our bikes were chained to the roobar: multiple buckled wheels. We had the awning attached: ropes and pegs went flying. I was lucky to work out how to stop the lurch before I risked doing a Malcolm Douglas on the approaching tree. So eventually we put everything back to right (except the bike wheels, which ended up being a costly repair/replace exercise involving a local bike shop, but at least that meant I didn’t have that option to hurt myself for a good while!) and went to bed. Next day we hit the road to explore some tastes of the Yarra – found a gem at the lovely little Maddens Rise cellar door, which we vastly preferred to Chandon (stunning location but too big and cold and impersonal – we even went there twice planning to do a tour, and decided we couldn’t stay long enough) or any of the others to be honest. A great recommendation from some Brits we had met in Heathcote. At one point that afternoon we stopped outside a cellar door to eat some lovely cheese, crackers and snacks we had with us. For some ridiculous reason we were using the newest sharpest knife I own to spread blue cheese on crackers as we ate. Sure enough – a cracker breaks and the knife slices straight into my little finger. I thought the blood might never stop! The second requirement in two days of the first aid kit that until then had largely sat untouched in the front cab since my travels started. I’ve often said it, but really wish I was wrong – I don’t do things by half! By comparison my home region of the Pyrenees treated me well. 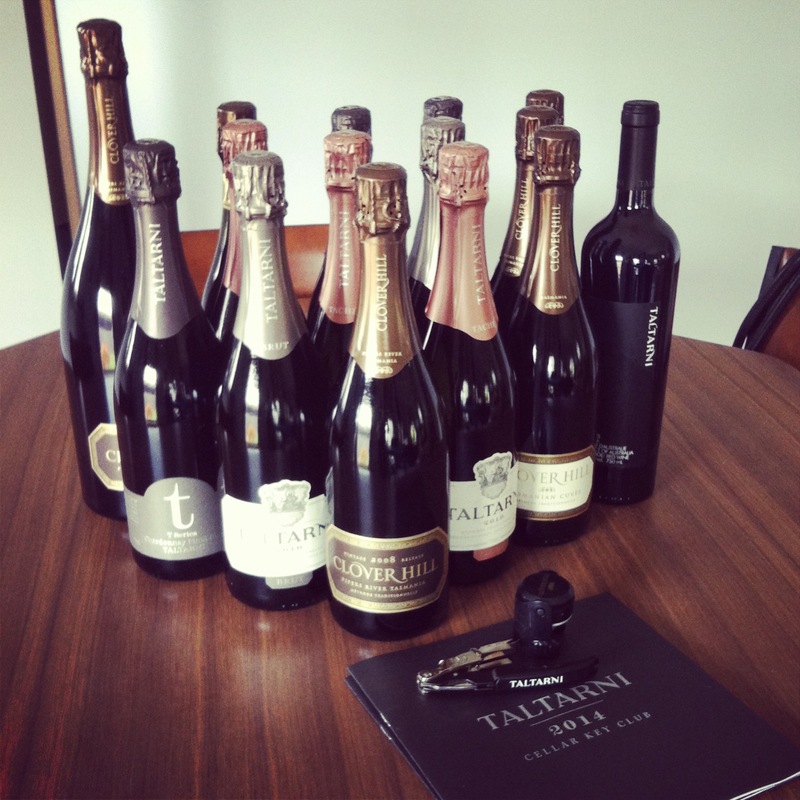 I did end up committing myself to buy four cases a year by joining a wine club, something I never ever planned to do – ever! But I guess I can live with that. Maybe it was a subconscious celebration of surviving the Yarra. I think I may never go back – way too dangerous. 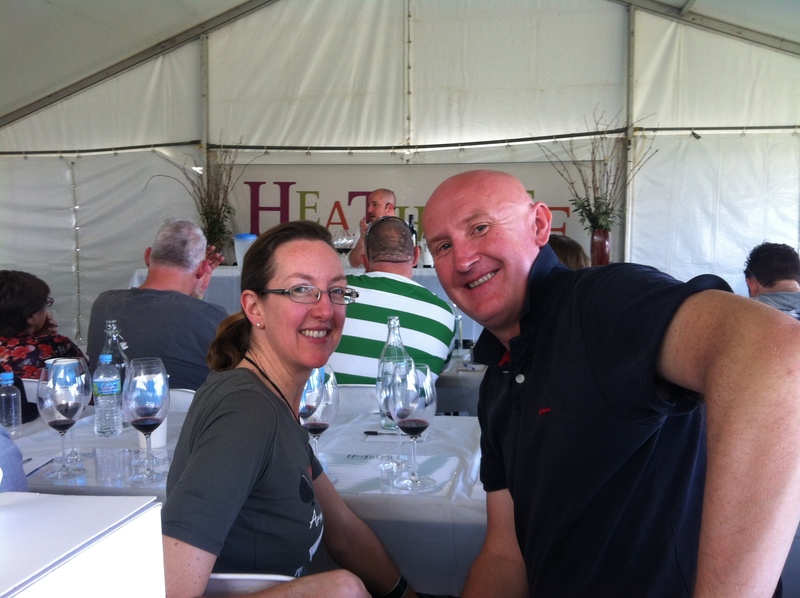 This entry was posted in Uncategorized and tagged Healesville, Heathcote, Heathcote Shiraz Heaven Wine and Food Festival, Heathcote Wine Hub, Maddens Rise, Nick Stock, White Rabbit Brewery, Yarra Valley. Bookmark the permalink.